Models have trended originally from a Miller B system to a strong Miller A system yesterday that brought heavy winter precipitation up the east coast from NC to Maine. Today the models have largely backed away from any inland development and any phasing would take place off-shore and on Sunday. The pattern I outlined below, I wrote about 3 days ago, is not expected to materialize as the models had alluded it might. The confluence area across the Eastern North America does not look like it will be very strong and the short wave coming into the U.S. is likely to be somewhat weaker than earlier projected and will not dig into the Southwestern U.S. 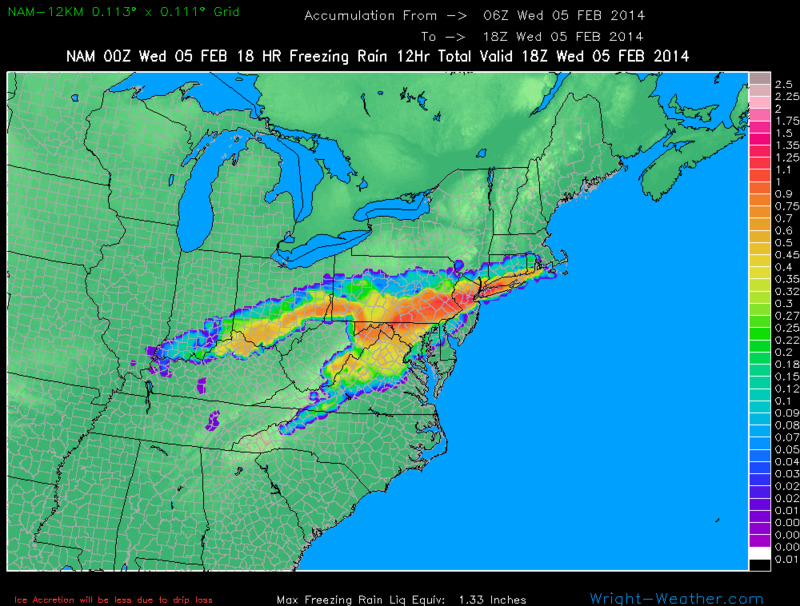 The end result is a much different scenario, with little or no cold air damming and possibly no precipitation. The ECMWF and GFS deterministic & ensembles have been supportive of the synoptic setup that is favorable for a wintery, cold air damming event across NC/VA the end of next week with a mixture of precipitation, though predominantly freezing rain or sleet. 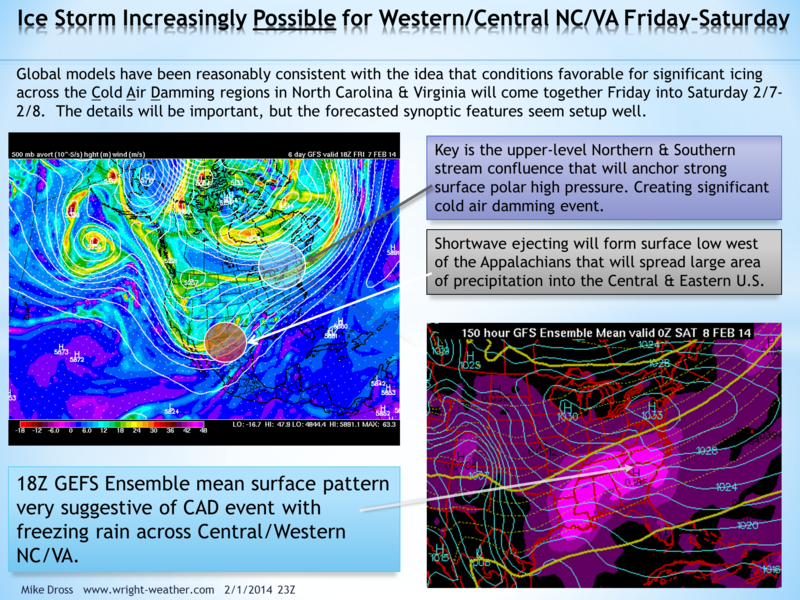 Having forecasted these types of events for many years as an operational meteorologist for Duke Energy, I had to often look for synoptic clues many days out rather than relying on explicit model output of things like 2 meter temperatures or precipitation type values that would indicate a significant icing event. 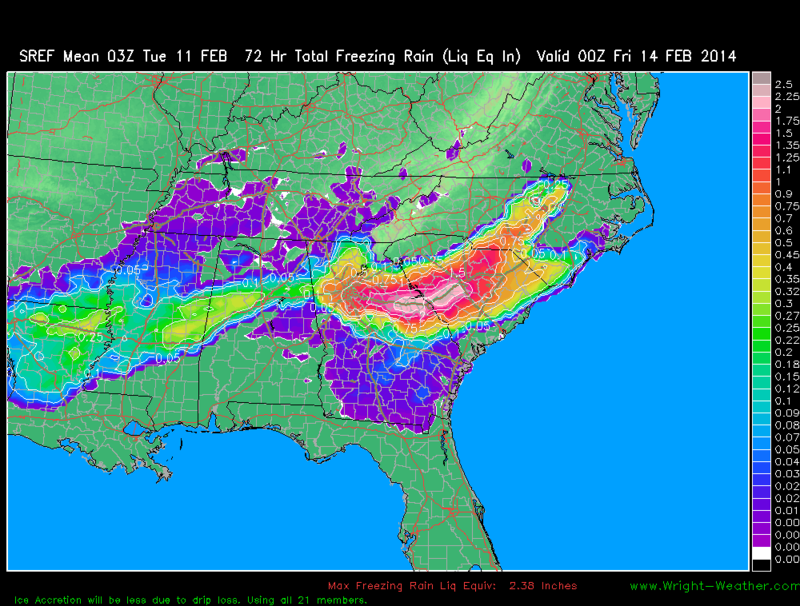 Models generally do not handle very cold air at low levels, particularly well. Especially the global models as they have a smaller number of vertical levels near the boundary layer where a lot of the shallow very cold air exist with arctic air masses. The global ensemble models have even less vertical levels than the deterministic models making them often poorer choices for depicting things such as cold air damming events. So while we are some 6-7 days from this potential event, there has been a consistent theme among the global models that makes me believe that a growing risk exist of winter weather and potentially a significant amount of freezing rain Friday into Saturday. Historically, one of the primary mechanisms we have observed in NC that accompany significant icing events, is an upper level confluent flow across the Northeast or Eastern Canada that is maintained though much of an event. This causes surfaces pressures to remain high and re-enforces cold air at low-levels down the Piedmont of Virginia & North Carolina. 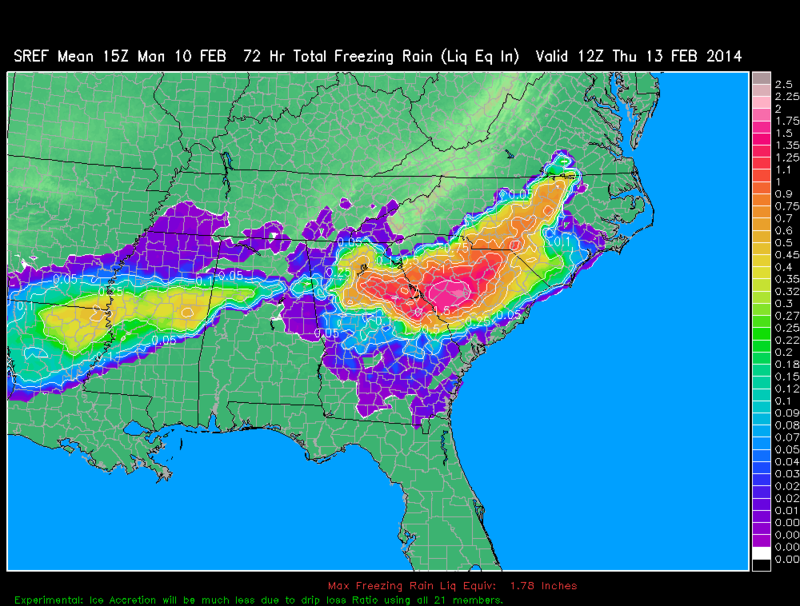 Future model runs will need to be monitored to see if this trend is maintained.